Ships tomorrow if you order in the next 16 hours 60 minutes. Ginseng is one of the most popular herbs used to help enhance overall health and wellness. 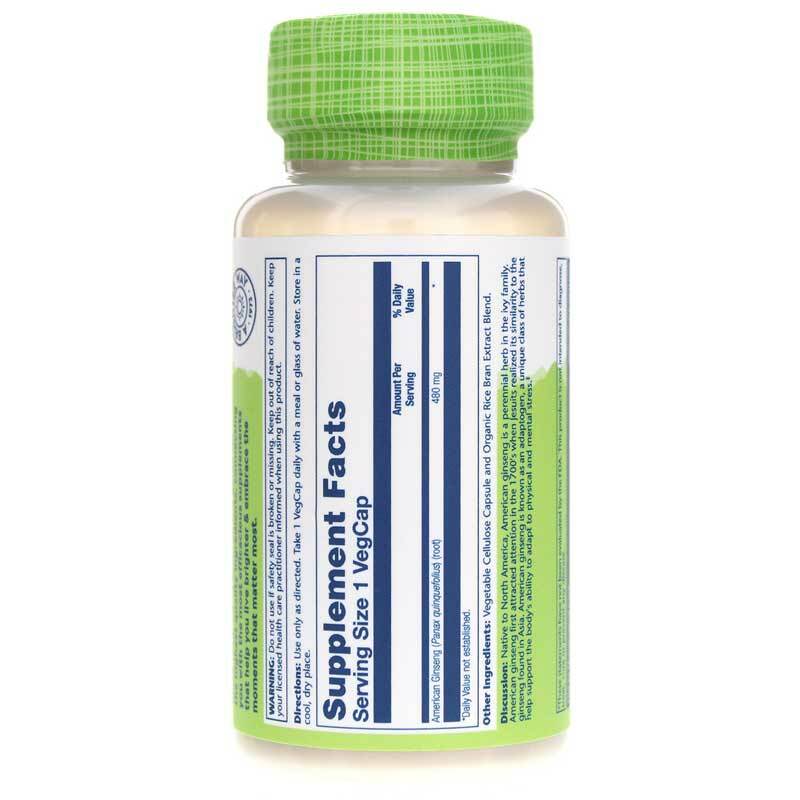 It provides a number of possible health benefits, and helps to normalize your bodily systems. American ginseng is thought to have less of a stimulating effect than the Asian variety, and most of it grown right here in Wisconsin. 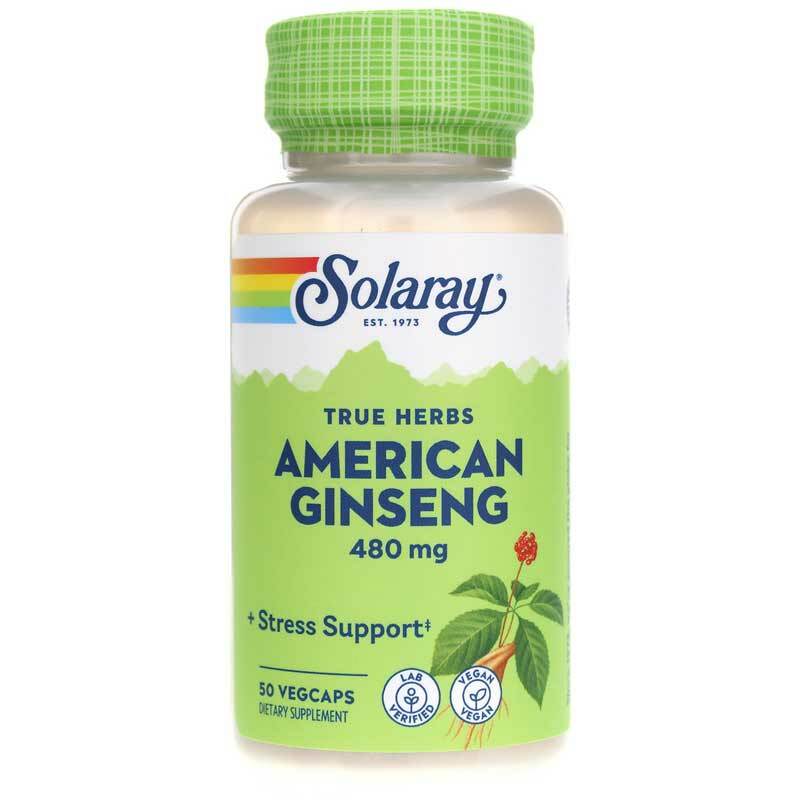 Solaray offers American Ginseng, which provides 480mg in every capsule to help boost your overall health and enhance your feelings of wellness. It is 100% Vegan and Non-GMO. 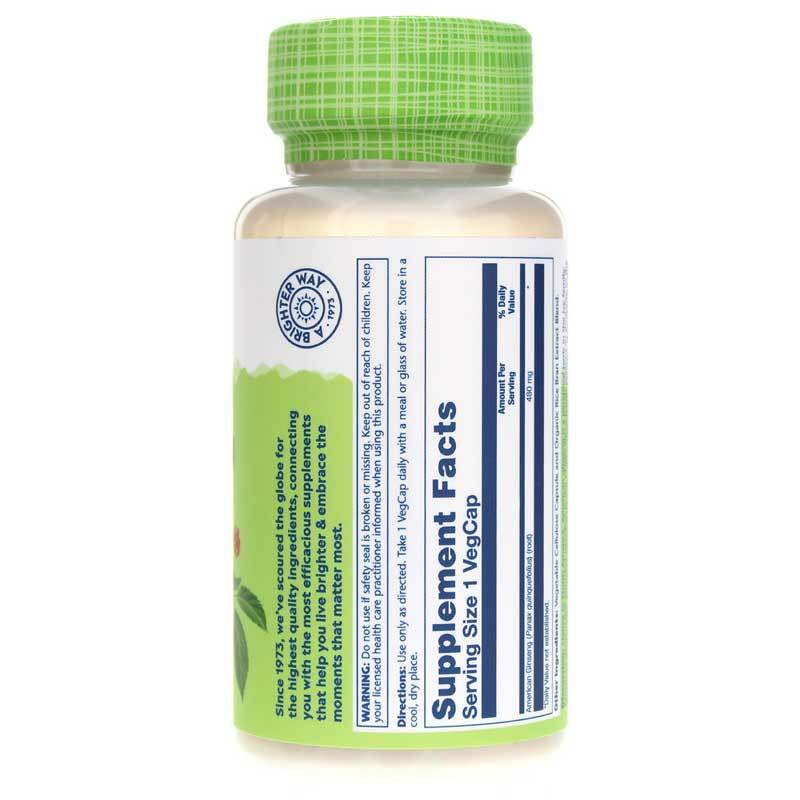 American Ginseng comes in an easy-to-swallow capsule form is made with the ingredients listed on the label--nothing else! Take charge of your overall health and wellness, and give Solaray American Ginseng a try today! Other Ingredients: vegetable cellulose capsule and organic rice bran extract blend. Trustworthy company. Better balance in the body overall when taking American Ginseng 480 Mg.